Hope Stevens thinks Wedding Tree, Louisiana, will be the perfect place to sort out her life and all the mistakes she's made. Plus, it will give her the chance to help her free-spirited grandmother, Adelaide, sort through her things before moving into assisted living. Spending the summer in the quaint town, Hope begins to discover that Adelaide has made some mistakes of her own. And as they go through her belongings, her grandmother recalls the wartime romance that left her torn between two men and haunted by a bone-chilling secret. Now she wants Hope's help in uncovering the truth before it's too late. 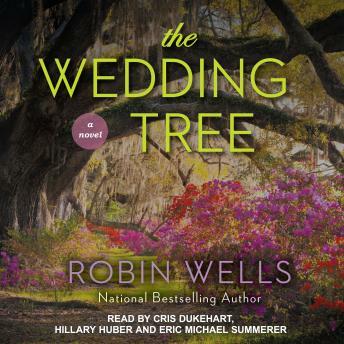 Filled with colorful characters, The Wedding Tree is an emotionally riveting story about passion, shattered dreams, unexpected renewal and forgiveness-not only for others, but for ourselves.